Mask for dry and chemically treated hair. 6.7 fl.oz. Formely L’Onguent Gourmand, the Masque aux Huiles d'Argan et Jojoba is a mask relaxes the scalp and deeply hydrates and nourishes dry and chemically treated hair. This beauty balm conceived around yogurt proteins provides optimal hydration. 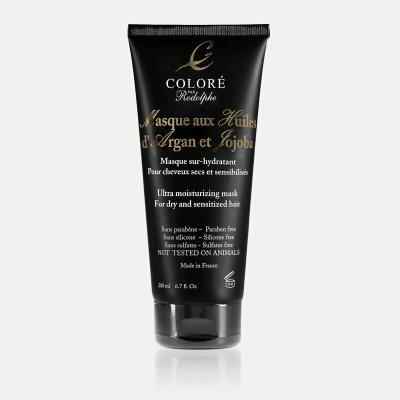 The natural fortifying and remineralizing protein complex leaves the hair silky and makes it easily styled. Dry hair recovers its softness, strength and vitality with while keeping the color protected from UVA/UVB rays. - After shampooing and towel drying hair apply vigorously to full head of hair and massage scalp. - leave in for 5 to 10 minutes. - Apply it as if applying a face mask. - Wrap hair in a damp warm towel. Our site protected in TLS ensure that all datas sended from our forms are secured. Free shipping with any purchase over €50 to Metropolitan France, Corsica, Monaco and Andorra. Order your products quickly on our one page checkout with or without account!